CUPERTINO, CA — Yesterday Apple unveiled the iPhone 6 and its highly anticipated smart watch to a crowd of enthusiastic viewers. One product that flew under the radar yesterday, was a new product that Apple has been developing for the past four years: The iPoop. The iPoop is designed to read the consistency of poop and give instant feedback to the user. “We wanted something that would integrate seamlessly with someone who needed to know what exactly was in their poop. Are they exercising normally? Are they drinking enough water? Did they eat Chipotle recently? The iPoop can tell you all these things,” said Ive. 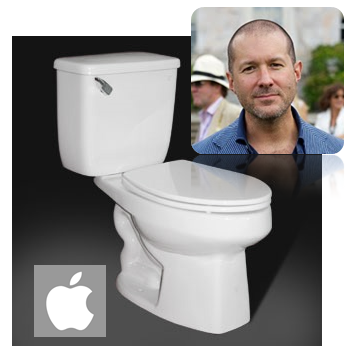 In addition to all the health aspects that Apple has recently put at the forefront of their designs, Ive said that the iPoop looks to solve one of the chief problems with pooping. Ive also said that the new iPoop will feature third-party app capabilities.